The Nordstrom full-line store at the Brea Mall. Buoyed by its commitment to customer service, Nordstrom has built a reputation throughout North America as a top-of-the-line clothing retailer. Photo from Wikimedia Commons. How can you build a successful startup? Examining the successes of others is a great place to start. This post, the first in an occasional series on trendsetting companies, looks at Nordstrom, which for more than a century has been synonymous with top-of-the-line customer service. Businesses across many industries often speak of being the “Nordstrom” of their respective field. Providing top-notch service is one way entrepreneurs can set their concepts above the competition. When Swedish immigrant John Nordstrom opened a shoe store in Downtown Seattle in 1901 with business partner Carl Wallin, he probably never dreamed that his upstart business would become a global clothing retail icon. Since 1928, the company has remained in the hands of the Nordstrom family, currently under the direction of fourth-generation company executives. Despite a positive reputation in the Seattle metropolitan area, it was not until 1963 that the company expanded to sell women’s clothing in addition to shoes. 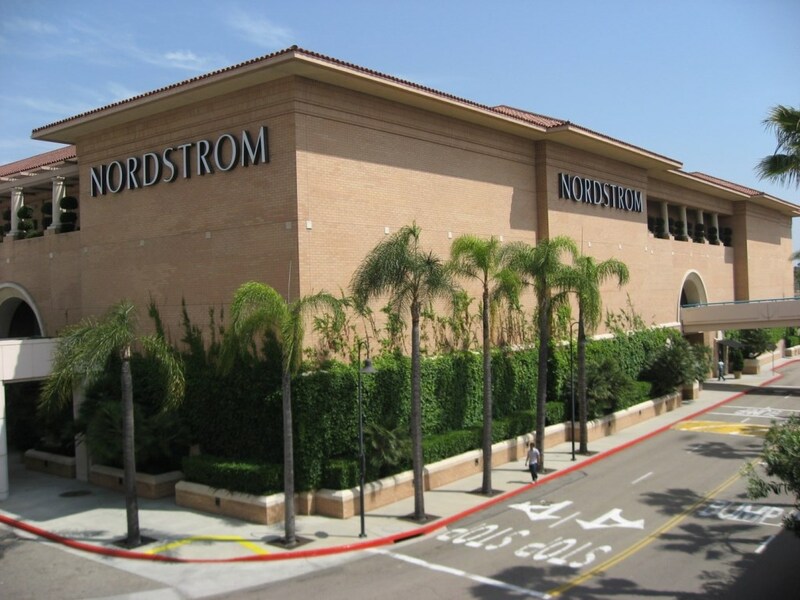 In 1978, Nordstrom made company and Orange County history by opening at South Coast Plaza in Costa Mesa, its first venture outside of the Pacific Northwest. Today, Nordstrom has 123 full-line stores and 215 Nordstrom Rack locations, the chain’s off-price retail outlet. 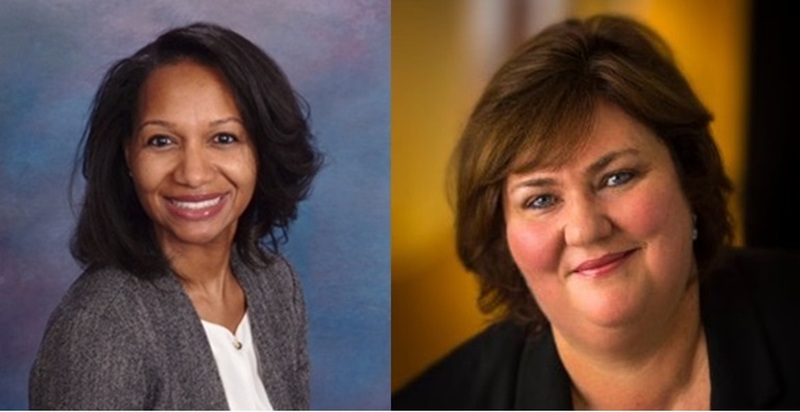 Mihaylo Alumnae Tawanda Starms ’00 (left) and Frederica Weimer ’86 (right) will be among the five panelists at the SEHR Human Resources Executive Panel. A panel discussion open to all Cal State Fullerton students will be held on Monday, Nov. 28 at 7 p.m. The event is sponsored by Mihaylo’s Society of Excellence in Human Resources (SEHR), which seeks to equip students for careers in human resources and related fields. Hoping for a rewarding career in a growing field? Consider human resources, which offers competitive pay, advancement opportunities and good working conditions. According to the U.S. Bureau of Labor Statistics, human resources specialists have a median income of $58,350 per year, while human resources managers make $104,440 per year. SEHR is offering Cal State Fullerton students an introduction to the field with a panel discussion featuring five local professionals: Mark Manion, senior human resources leader for the landing gear and fuel tanks operations of GE Aviation; Karen Meno, director of learning and organizational development for the Irvine Company; Dan Shea, vice president of human resources for TRI Pointe Group; Tawanda Starms ’00 (finance) human resource director of Thales; and Frederica Weimer ’86 (management), vice president of human resources for the Boeing Company. Students will have the opportunity to ask the panelists questions about human resources employment, their personal backgrounds and industry challenges. Food will be provided. The event, which will be held at SGMH 3230 on Monday, Nov. 28, at 7 p.m., is open to all Cal State Fullerton students. Business casual dress is required. Free registration is available online. SEHR, an affiliate of the Society for Human Resource Management (SHRM), promotes the professional development of Mihaylo students seeking a career in human resources through social events, networking opportunities and volunteerism. For more information, visit their Facebook page or email SEHR.CSUF@gmail.com. 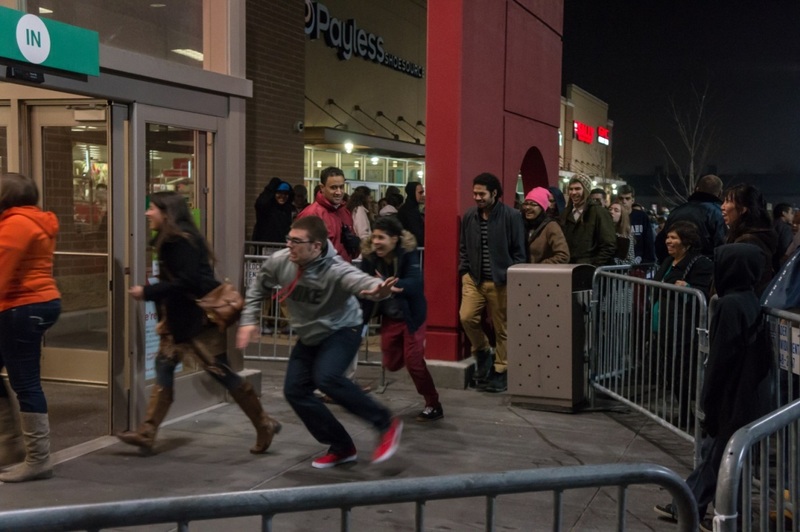 Shoppers rush into a mall early on Black Friday morning in 2013. The day became a major consumer and media event in the 2000s though there are doubts over its future importance. Photo from Wikimedia Commons. Americans will turn out by the millions this Friday for the unofficial start of the holiday shopping season. Here is a look at the key metrics and history of the annual consumer spending spree. This week, students will relish a week off classes and enjoy family and good food on the Thanksgiving holiday. But most will also spend at least some of their time shopping. Since the Great Depression era, the Friday after Thanksgiving has been regarded as the beginning of the holiday season. But in the past two decades, it has developed into an annual ritual for retailers of every stripe. Here is a synopsis of what could arguably be considered America’s greatest annual celebration of the consumer economy. “You need to be able to understand and relate to customers on an emotional level to succeed in the pet industry,” says Mihaylo Entrepreneurship Alumna Erin Foate ’07. Erin Foate ’07 (entrepreneurship) provides a look at her pet-care startup, Dachs 2 Danes Inc., and gives advice on starting your own business, whether it focuses on two- or four-legged clientele. Pets are big business in today’s economy. According to the American Pet Products Association, the U.S. was expected to spend more than $60 billion on pets in 2015, with $1,641 spent annually on basic expenses for the average dog. As more people view their pets as valuable members of the family, more businesses are being established to provide grooming, training, health care and pampering to pets. 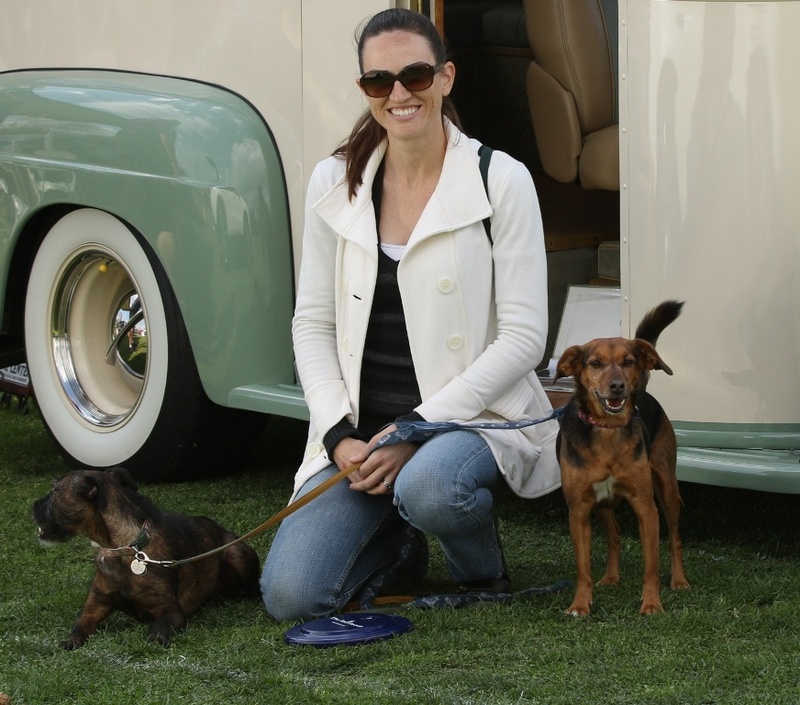 Mihaylo Entrepreneurship Alumna Erin Foate ’07 started a dog day care business in 2014. Her Anaheim-based startup, Dachs 2 Danes Inc., offers dog day care, boarding, grooming and training. The business also offers in-home pet care for North Orange County owners of animals such as dogs, cats, rabbits, birds, reptiles and horses. From graduation to marriage to career advancement, students share their goals and wishes on the Before I Die wall. 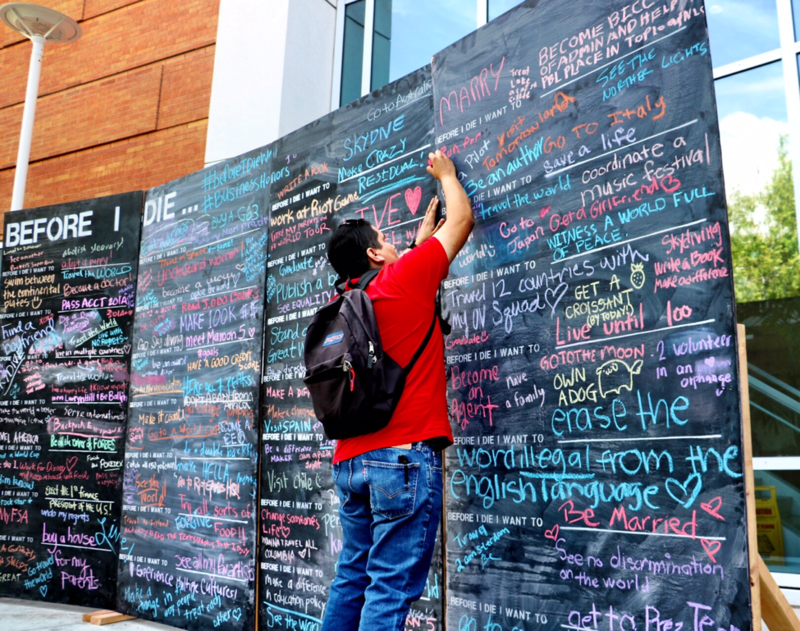 Mihaylo’s Business Honors Program has sponsored the Before I Die wall, which provides CSUF students a place to write their life goals and ambitions. The annual six-foot-tall chalkboard wall is on campus through Thursday. Where do you hope to see yourself in the future? Do you want to be a leader in your profession, have a family, travel the world, make a positive impact on society or enjoy your favorite hobby? Cal State Fullerton students are writing down their hopes and dreams on a chalkboard wall at Mihaylo Hall this week. Dubbed the “Before I Die” wall by the Business Honors Program, it is a place for students to reflect on their future. Started by students in 2013, the wall has become an annual event that has drawn the attention of the campus community and even CSU Chancellor Timothy White. According to Bhakti Pavani ’11, “strong financial fundamental knowledge, previous experience, communication skills and networking” are necessary for students to succeed in the financial industry. Financial industry careers may be lucrative and rewarding but landing a job at a leading financial firm can be difficult. 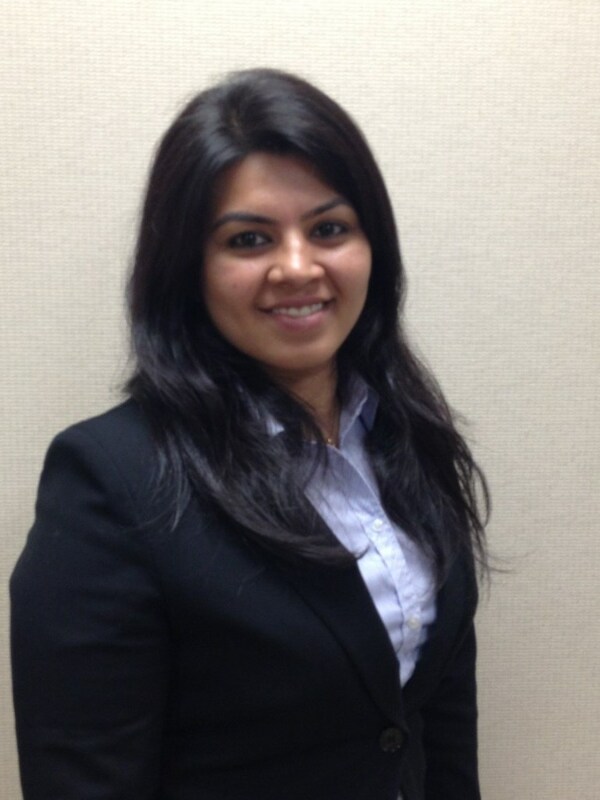 Mihaylo MBA – finance alumna Bhakti Pavani ’11 provides some insights on finance career paths and her journey from international student to research analyst. Six-figure paychecks, a professional work environment and upward mobility are among the reasons the financial industry beckons so many business majors. But how can you break into this competitive and high-stakes field? Mihaylo MBA – finance alumna Bhakti Pavani ’11 was an international student from India when she began her graduate program at Cal State Fullerton in 2009. After her graduation in 2011, she held analyst positions at C.K. Cooper & Company and B. Riley & Company before beginning her current role as senior research analyst at Euro Pacific Capital in Newport Beach, where she researches companies in the oil and mining industries. How should students prepare for a career in the financial industry? 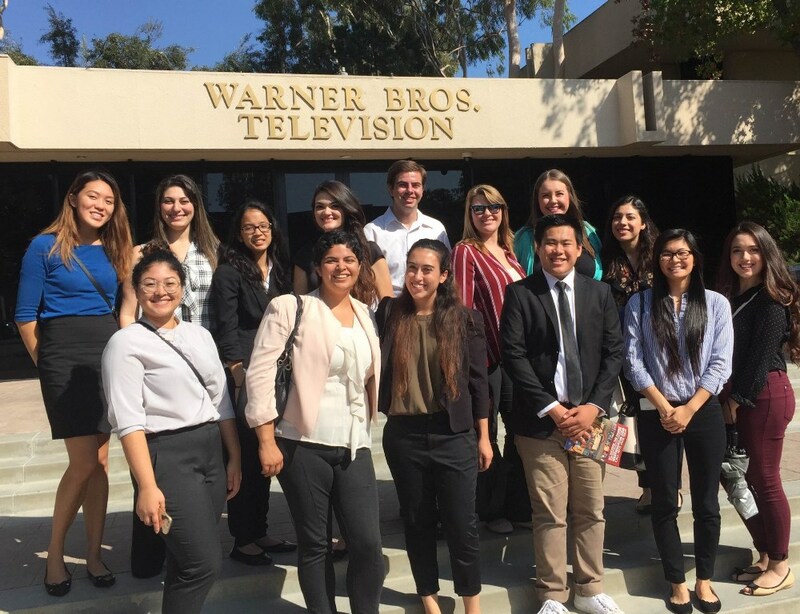 Mihaylo students visit Warner Bros. as part of the Behind the Scenes club, which seeks to prepare students for careers in hospitality and media. The Mihaylo College Behind the Scenes club hosts networking events, industry tours and panel discussions relating to the tourism, hospitality and entertainment fields. Club President Maureen McLandrich ’18 (entertainment and tourism) discusses the club’s activities and how students can join. With miles of beaches, theme parks and the world center of the movie industry, entertainment and tourism are major drivers of the Southern California economy. Los Angeles and Orange counties lead the state in related employment. Behind the Scenes (BTS), a student club related to the Mihaylo Entertainment & Tourism Management concentration, offers business workshops and panels, socials and tours of entertainment companies; the club seeks to provide participants a well-rounded understanding of how the world of entertainment operates. 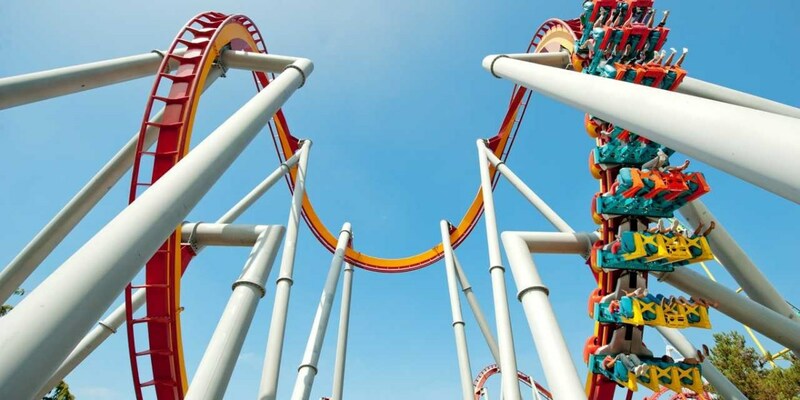 The Silver Bullet ride at Knott’s Berry Farm in Buena Park. The city’s destination marketer, Jeremy Peterson ’14, says new rides and water slides are planned at Knott’s. 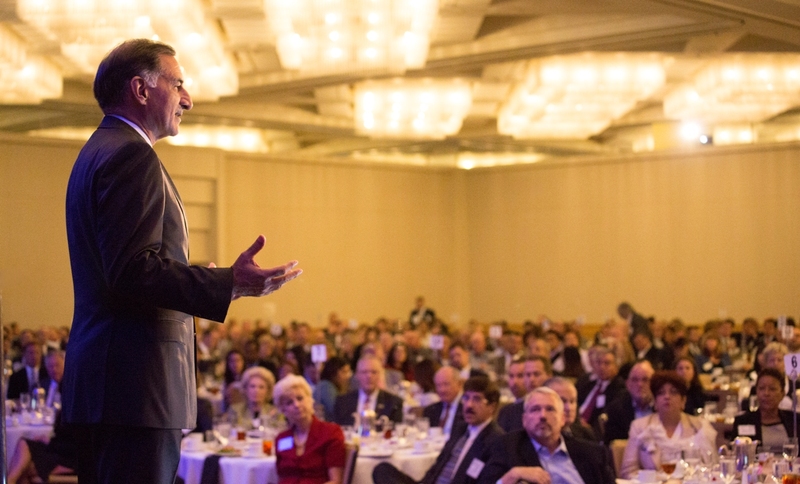 Tourism is a major force in the Orange County economy, employing nearly 200,000 people, according to the latest Orange County Workforce Indicators Report. Destination marketers are at the forefront of representing all that the county has to offer to visitors from around the world. Jeremy Peterson ’14 (marketing) discusses his position as a destination marketer for Visit Buena Park and opportunities in the Orange County hospitality industry. Southern California residents and international visitors alike know Buena Park as the home of Knott’s Berry Farm. But the city of more than 80,000 has a number of things to see and do, including a scale replica of Independence Hall, a historic district, and Medieval Times Dinner and Tournament. Jeremy Peterson ’14 is a leader in representing the city to the traveling public. 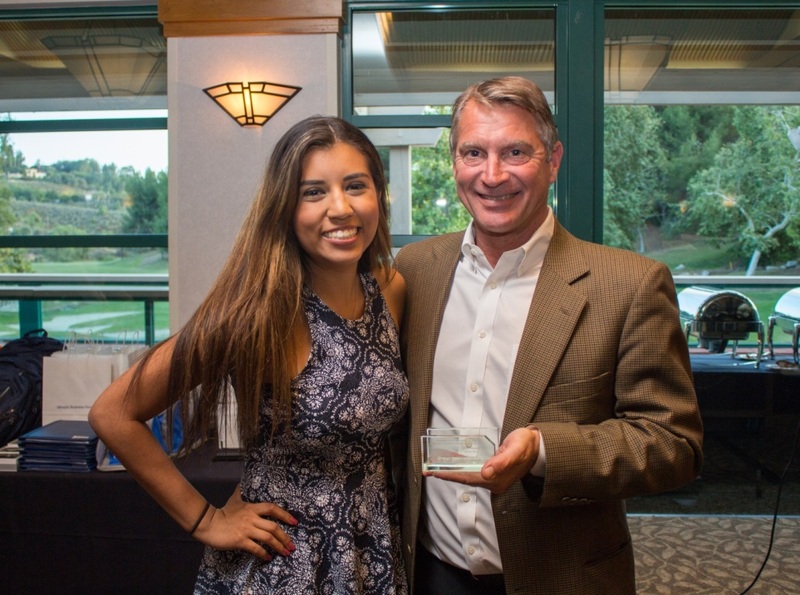 The Mihaylo marketing alumnus joined the city’s tourism bureau in 2014, following a four-year role as marketing assistant for The Walt Disney Company in Anaheim.